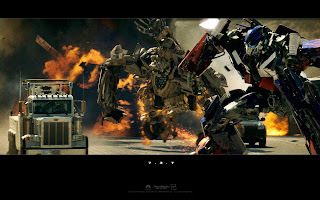 Terry Chan Photography: Movie Review: "Transformers"
Lan and I watched Transformers today. This movie totally rocked because it's filled with actions from the beginning to the end. They also managed to insert a comedy slippet in between the action pack scenes. Lan and I gave this a big 2 thumbs up!